Learning to love code reviews gives you an enormous advantage as a web developer. The process of requesting feedback, and subsequently acting on that feedback, is one of the best drivers of improving your skill set. 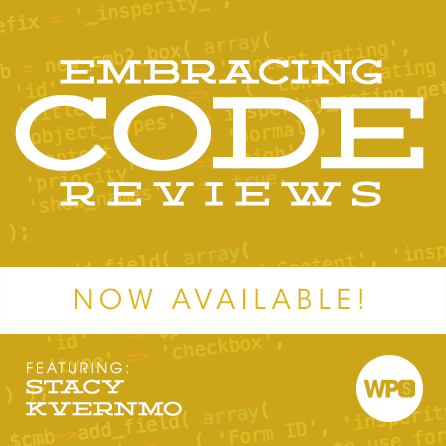 Learn from Stacy Kvernmo, a brilliant front-end developer and former code review hater, about how you can implement this process into your current workflow for great results. No pain no gain. How one code review changed my life. After writing CSS for over 10 years you’d think you would know everything there is to know, right? I couldn’t be more wrong and I found out the hard way. While my first formal code review session was painfully embarrassing it was also the most important lesson I have learned throughout my career. Code reviews force you to communicate on a different level which ultimately leads to more thoughtful coding practices. When writing Sass and other pre-processed languages it is even more important that you review your code continually, which even the more seasoned developers may neglect at times. Balancing a love of design and code, Stacy Kvernmo is constantly experimenting with new front-end web techniques, creating efficient workflows, increasing performance, as well as contributing to open source projects. She enjoys teaching, speaking and writing about design and development. You can find some of her latest experiments at codepen.io/stacy. Stacy is a co-host of the Naperville WordPress meet-up group and a fangirl of far too many podcasts.